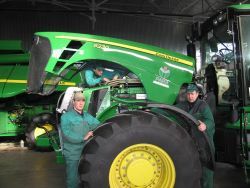 Bussiness process: company that owns the aircraft fleet selskohozaviatsii, working under orders of the agricultural enterprises and farms. The company provides various services, including processing and chemical fields. Problems: sometimes there are quality claims from customers who claim that some areas of the fields were left untreated. Claims usually arise after a while, when really ripe harvest and see the results of treatment. The lack of documentary evidence can not objectively determine the causes of the incident. Solution: on the aircrafts of the company installed the controllers "Teletrack". Data on the flight routes are passed to the control computer and displayed on an electronic map. Figures for previous periods are stored in the database at any time can be analyzed. Control of the job completion. The company has an opportunity to independently control whether order fulfillment, and, if necessary, correct the noticed deficiencies. It became possible to pass to the customer together with the documents on the work performed visual report with maps and route of the aircraft. Fuel economy. A side effect of the introduction was a significant fuel savings achieved by avoiding the "left" flights, which, as it turned out, sometimes abused pilots responding to requests from farmers who wanted to save money. Business process: one of the leading agricultural holdings of Ukraine "Rise" handles a total of 130 000 hectares. of land. 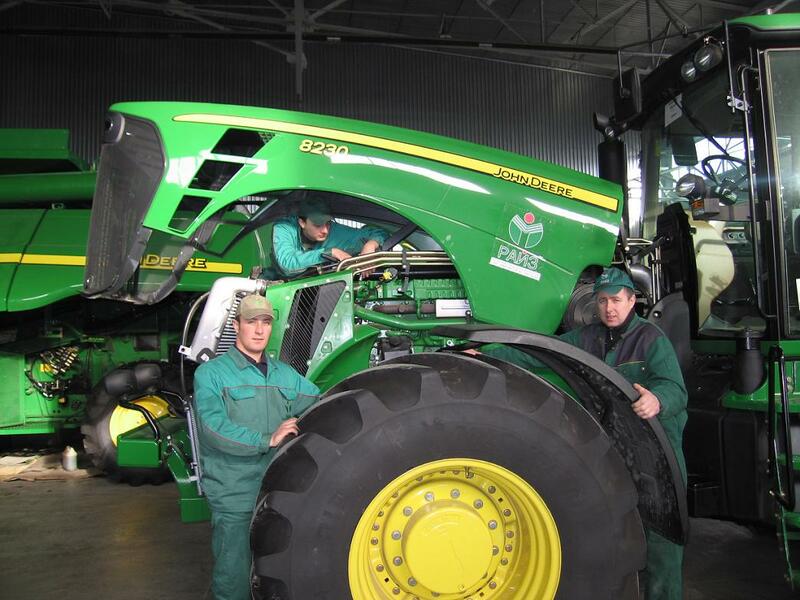 The company has its own fleet of agricultural machinery (tractors, trucks, harvesting equipment, tankers, etc.). A significant cost to the business - this is the costs of maintenance of equipment and fuel. Task: minimize the fuel costs to increase profitability, eliminate misuse of technology, improve discipline drivers. Solution: 100 units of trucks MAZ and KAMAZ, as well as on tractors "John Deere" were installed on-board GPS system device for monitoring of transport «Teletrack» and fuel level sensors. Implementation of the system made ​​it possible to track all movements of vehicles and monitor fuel consumption. Fuel economy. According to the management of "Rise", the introduction of a monitoring system for one season (autumn 2008), managed to reduce the consumption of diesel fuel per 200 thousand liters. Control of the job completion. Using a system of monitoring and control of transport has become possible to control the quality of treatment and harvest fields. According to company executives, "Rise", the main effect of the introduction of satellite monitoring system is the ability to make sound management decisions based on objective monitoring. Business process: Pharmaceutical companies carry out their sales through sales agents. Provide their service vehicles, laptop, mobile phones. The task of a commercial agent to regularly visit pharmacies, clinics, hospitals, and to promote the company's products. Than active salesperson, the higher the sales. Sales agent is acting on the basis of targets agreed with the assigned to it as an office manager. Assignments include a list of objects that must attend a salesperson and a schedule for their visit. Problems: Difficult to control the activity of real sales agent. Conclusions about the results of its operations are made on the basis of its own reports. The only objective indicator is the level of sales in the area of ​​responsibility of the agent. But often the situation arises where sales are not too different from the average by a combination of circumstances, and not through the activity of the agent. With the active work of the sales would be higher. Solution: On company installed GPS-tracking system "Teletrack", which allows real-time tracking of moving vehicles and report on compliance targets and their actual implementation. Control of job completion Automated reports on assignments objectively possible to obtain information about the performance of its office manager jobs, specify the actual time spent on their performance and, consequently, a more optimal schedule them in the future. Milaage control. Satellite monitoring system allows you to accurately measure the vehicle's mileage, and share travel-related professional activities and trips for personal reasons. It is possible to reduce fuel costs, which company reimburses dealers.